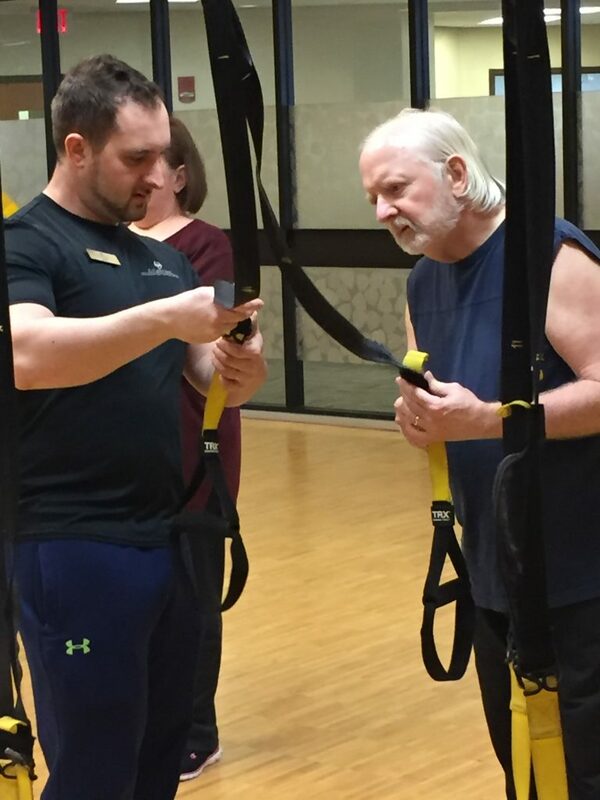 The Parkinson’s Circuit Class, held twice weekly at the Kettering Recreation Complex, is a specialized program tailored to individuals living with Parkinson’s. Studies by the National Parkinson’s Foundation indicate that those living with Parkinson’s can benefit from an exercise program that includes stretching, aerobic exercise and resistance training. Through a carefully developed exercise routine, individuals with Parkinson’s may be able to slow the progression of the disease and improve their mobility and independence. A grant from the National Parkinson’s Foundation of Ohio, along with generous support from the community, helped to make the class a reality. Since the program began, numerous participants have taken part. Activities include mobility exercises with plastic poles, boxing at intervals, walking laps while performing upper and lower body movements and a TRX component, which helps with balance and core strengthening. Nick explains each exercise to the class and discusses which muscle groups it will work. 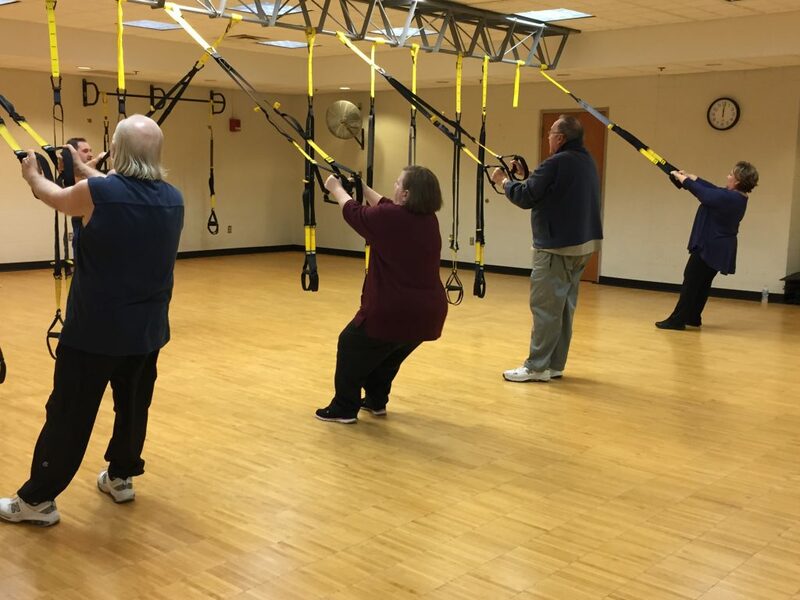 The Parkinson’s Circuit Class is a drop-in program, held on Tuesdays and Thursdays at 11:30am at the Kettering Recreation Complex, Studio B with a $5 Kettering resident/$10 nonresident fee (you can also use your exercise pass for this program). New participants are always welcome. View more information about Kettering’s fitness facilities.